Give your designs a colorful accent with the Miyuki 11/0 round seed beads in light amethyst-lined AB. These seed beads will add small accents of beautiful color to your designs. They are special because they feature a rounded shape, rather than the cylindrical Miyuki Delica shape. You'll want to have these beading basics on hand for all of your projects. Use them in bead weaving, fringe and more. They feature pale purple color with shining iridescent hints. Each 22g vial includes approximately 2400 beads. Make a colorful statement with the Miyuki 11/0 round seed beads in lilac Ceylon. These seed beads will add small accents of beautiful color to your designs. They are special because they feature a rounded shape, rather than the cylindrical Miyuki Delica shape. You'll want to have these beading basics on hand for all of your projects. Use them in bead weaving, fringe and more. They feature pale purple color with a lustrous shine. For a magical touch in designs, try the Miyuki 11/0 round seed beads in amethyst-lined crystal AB. These seed beads will add small accents of beautiful color to your designs. They are special because they feature a rounded shape, rather than the cylindrical Miyuki Delica shape. You'll want to have these beading basics on hand for all of your projects. Use them in bead weaving, fringe and more. They feature purple color with hints of shining iridescence. Enhance designs with the unique color of the Miyuki 11/0 round seed beads in silver-lined dark violet. These seed beads will add small accents of beautiful color to your designs. They are special because they feature a rounded shape, rather than the cylindrical Miyuki Delica shape. You'll want to have these beading basics on hand for all of your projects. Use them in bead weaving, fringe and more. They feature deep purple color with blue undertones. Put pops of color into your designs with the Miyuki 8/0 round seed beads in fuchsia-lined aqua luster. These seed beads will add accents of beautiful color to your designs. They are special because they feature a rounded shape, rather than the cylindrical Miyuki Delica shape. You'll want to have these beading basics on hand for all of your projects. Use these small seed beads in bead weaving, fringe, beaded embroidery and more. They feature a shining berry purple color with hints of blue. Each 22g vial contains approximately 850 beads. Regal style can be yours with the Miyuki 6/0 round seed beads in transparent matte amethyst rainbow. These seed beads will add accents of beautiful color to your designs. They are special because they feature a rounded shape, rather than the cylindrical Miyuki Delica shape. You'll want to have these beading basics on hand for all of your projects. Use these bold seed beads in bead weaving, fringe, stringing and more. They feature a soft purple color with a subtle iridescence. Each 22g vial contains approximately 250 seed beads. A regal display fills the Miyuki 11/0 round seed beads in opaque purple Iris. These seed beads will add small accents of beautiful color to your designs. They are special because they feature a rounded shape, rather than the cylindrical Miyuki Delica shape. You'll want to have these beading basics on hand for all of your projects. Use them in bead weaving, fringe and more. They feature metallic purple color with hints of green and bronze. Regal style fills the Miyuki 11/0 round seed beads in silver-lined dark smoky amethyst. These seed beads will add small accents of beautiful color to your designs. They are special because they feature a rounded shape, rather than the cylindrical Miyuki Delica shape. You'll want to have these beading basics on hand for all of your projects. Use them in bead weaving, fringe and more. They feature rich purple color with smoky undertones. Enhance designs with the cool color of the Miyuki 11/0 round seed beads in galvanized egg plant. These seed beads will add small accents of beautiful color to your designs. They are special because they feature a rounded shape, rather than the cylindrical Miyuki Delica shape. You'll want to have these beading basics on hand for all of your projects. Use them in bead weaving, fringe and more. They feature a metallic plum color. Enchanting style fills the Miyuki 11/0 round seed beads in transparent matte smoky amethyst AB. These seed beads will add small accents of beautiful color to your designs. They are special because they feature a rounded shape, rather than the cylindrical Miyuki Delica shape. You'll want to have these beading basics on hand for all of your projects. Use them in bead weaving, fringe and more. 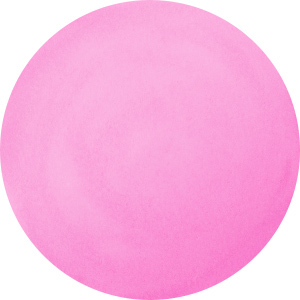 They feature dusky purple color with a subtle iridescence and a matte appearance. Add ethereal color to your designs with the Miyuki 11/0 round seed beads in blue violet-lined AB. These seed beads will add small accents of beautiful color to your designs. They are special because they feature a rounded shape, rather than the cylindrical Miyuki Delica shape. You'll want to have these beading basics on hand for all of your projects. Use them in bead weaving, fringe and more. They feature a bluish purple color with an iridescent finish. Give your designs accents of magical color with the Miyuki 11/0 round seed beads in transparent lilac AB. These seed beads will add small accents of beautiful color to your designs. They are special because they feature a rounded shape, rather than the cylindrical Miyuki Delica shape. You'll want to have these beading basics on hand for all of your projects. Use them in bead weaving, fringe and more. They feature soft purple color with an iridescent finish. Bring royal shine to your designs with the Miyuki 8/0 round seed beads in galvanized eggplant. These seed beads will add accents of beautiful color to your designs. They are special because they feature a rounded shape, rather than the cylindrical Miyuki Delica shape. You'll want to have these beading basics on hand for all of your projects. Use these small seed beads in bead weaving, fringe, beaded embroidery and more. They feature a metallic purple color. Each 8g package includes approximately 312 beads. Sweet shine comes alive in the Miyuki 6/0 round seed beads in galvanized dusty orchid. These seed beads will add accents of beautiful color to your designs. They are special because they feature a rounded shape, rather than the cylindrical Miyuki Delica shape. You'll want to have these beading basics on hand for all of your projects. Use these bold seed beads in bead weaving, fringe, stringing and more. They feature metallic dusky pink color. Each 8g package includes approximately 90 beads. Bring demure color to your designs with the Miyuki 8/0 round seed beads in galvanized dusty orchid. These seed beads will add accents of beautiful color to your designs. They are special because they feature a rounded shape, rather than the cylindrical Miyuki Delica shape. You'll want to have these beading basics on hand for all of your projects. Use these small seed beads in bead weaving, fringe, beaded embroidery and more. They feature a metallic dusty pink color. Dramatic style fills the Miyuki 6/0 round seed beads in galvanized eggplant. These seed beads will add accents of beautiful color to your designs. They are special because they feature a rounded shape, rather than the cylindrical Miyuki Delica shape. You'll want to have these beading basics on hand for all of your projects. Use these bold seed beads in bead weaving, fringe, stringing and more. They feature a metallic plum color. Dusky color fills the Miyuki 11/0 round seed beads in Duracoat galvanized dark mauve. These seed beads will add small accents of beautiful color to your designs. They are special because they feature a rounded shape, rather than the cylindrical Miyuki Delica shape. You'll want to have these beading basics on hand for all of your projects. Use them in bead weaving, fringe and more. Duracoat is a clear coating that is thicker and stronger than the traditional coating. These beads feature brown color with purple undertones and a metallic shine. Each 8g package contains approximately 880 beads. Try the Miyuki 11/0 round seed beads in smokey amethyst silver-lined for a cool style. These seed beads will add small accents of beautiful color to your designs. They are special because they feature a rounded shape, rather than the cylindrical Miyuki Delica shape. You'll want to have these beading basics on hand for all of your projects. Use them in bead weaving, fringe and more. They feature dusky purple color with silver-lined stringing holes. Sweet and sophisticated color fills the Miyuki 11/0 round seed beads in lilac opal dyed alabaster silver-lined. These seed beads will add small accents of beautiful color to your designs. These beads are special because they feature a rounded shape, rather than the cylindrical Miyuki Delica shape. You'll want to have these beading basics on hand for all of your projects. Use them in bead weaving, fringe and more. They feature a pale opalescent purple color and a silver-lined stringing hole. These Miyuki 11/0 round seed beads in violet dyed alabaster silver-lined will steal the show in designs. These seed beads will add small accents of beautiful color to your designs. They are special because they feature a rounded shape, rather than the cylindrical Miyuki Delica shape. You'll want to have these beading basics on hand for all of your projects. Use them in bead weaving, fringe and more. They feature deep purplish-blue color with silver-lined stringing holes. You'll love the amazing color of these Miyuki 11/0 round seed beads in transparent matte smoky amethyst AB. These seed beads will add small accents of beautiful color to your designs. They are special because they feature a rounded shape, rather than the cylindrical Miyuki Delica shape. You'll want to have these beading basics on hand for all of your projects. Use them in bead weaving, fringe and more. 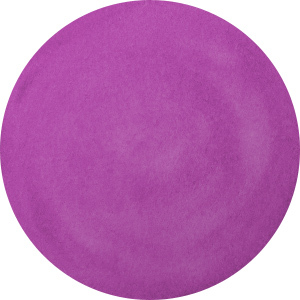 They feature dusky iridescent purple color with a matte finish.